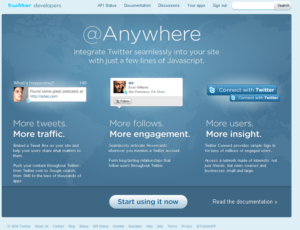 Today twitter announced public availability of @anywhere which I thought of giving a shot. 7. If you want to add this on any blog on blogger.com, simply add a “text/html box” under design layout and paste the code snippet in it.